If you have a general question or comment regarding the Taste, complete the form below and click on submit. We get many requests but we'll do our best to respond. For parking information, please click here. For additional info about the Taste, visit our FAQ page as well as our About Us page. The Taste does not offer any type of vendor packages for wares and food vendors or have tables for not-for-profits or other groups. 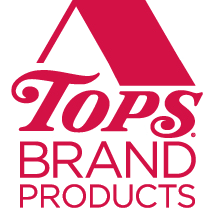 Taste of Buffalo presented by TOPS is not accepting band applications. We are booking the bands yearly and our 2019 lineup has been scheduled. Thanks for your interest! For all public relations inquiries, contact: Erin Collins at [email protected]. Our Taste logo can be found here. TASTE OF BUFFALO® is a registered trademark of A Taste of Buffalo, Inc. The Taste of Buffalo name and/or logo may not be used in any form without the prior written approval of A Taste of Buffalo, Inc.